Moving is a tremendous process; moving countries is an even bigger emotional, financial and physical challenge. Taking the risk to create new memories and start afresh is becoming more and more of a conversation piece in the Global North as the political and economic climates remain uncertain. I moved to Costa Rica from New York with my family in June 2014 and began Tengo Sed Expat Consultancy in 2015 after the publication of my reflections on moving in Essence Magazine. After the article came out, I got countless emails from people, but mostly families with school-aged children who wanted to know how they too could create a safer and more sustained lifestyle outside of where they were currently living, usually in the Global North. I decided to create a hands-on practical support system that gathered my resources and networks here in Costa Rica in order to help families figure out of Costa Rica is their forever-home. Over the years, I have coached several families, couples and singles into a successful transition to Costa Rica. As an educator, my specialty, however, are families with children heading into school who are coming from a US/UK education system. I focus most specifically on the Central Valley and its various systems. Public (free), Spanish-language only, Costa Rican schools run on the February–November calendar. There are over 4,000 Costa Rican public schools, which opens up the country geographically to families. Education is free and compulsory for all Costa Rican children, and therefore the country boasts of a literacy rate of more than 95 percent. All students wear uniforms. The day is often split into two time schedules, varying by school: for example, 7am -12pm and 12pm-5:30pm. Students alternate during the week (Mon/Wed/Fri morning sessions and Tues/Thurs afternoon sessions or vice versa) in order for all students to be accommodated in the country. Schools stops at 11th grade with graduates earning the Bachillerato accredited by the Ministry of Public Education (MEP). This degree allows students to compete for entrance into the excellent national public universities, including University of Costa Rica, National University and the Costa Rican Institute of Technology (TEC). State university fees are around $4,000 a year without housing. The Bachillerato degree is recognized by some universities outside of Costa Rica, but many students who want to study outside the country attend a private school which goes up to 12th grade so that they can take AP classes and the SAT. It is important to note that transportation is not provided free of charge by the public school system. There are various types of private schools in Costa Rica, which are all fee-based. Some private, independent schools run on the U.S./UK August- June calendar; some run on the Costa Rican schedule, and some offer both modalities. The most prestigious offer the U.S. diploma accredited by the Southern Association of College and Schools – SACS, and/or the International Baccalaureate/IB diploma (accredited by the IBO in Geneva, Switzerland). These schools run from Pre-K to 12th grade and are located mostly in and around San José and Guanacaste. The students also wear uniforms, and the academic day runs somewhere between 7am and 4pm with a plethora of after-school activities, sports and other extracurricular events. There are private school bus companies which transport students to and from schools for an additional fee. Many of the private schools offer special support programs for additional fees, including ESL (English as a Second Language), SSL (Spanish and as a Second Language) and LSP (Learning Specialist Program for students with IEPs who need specialized accommodations). Tuitions range from $5,000-$25,000 and there are various payment plans available for families. Tuition is normally paid in U.S dollars. As part of the entrance requirements, students have to complete an on-site entrance exam, provide the necessary medical records and previous academic transcripts, as well as letters of recommendation. I also encourage spending a day in class with age-mates to get a sense of the school. 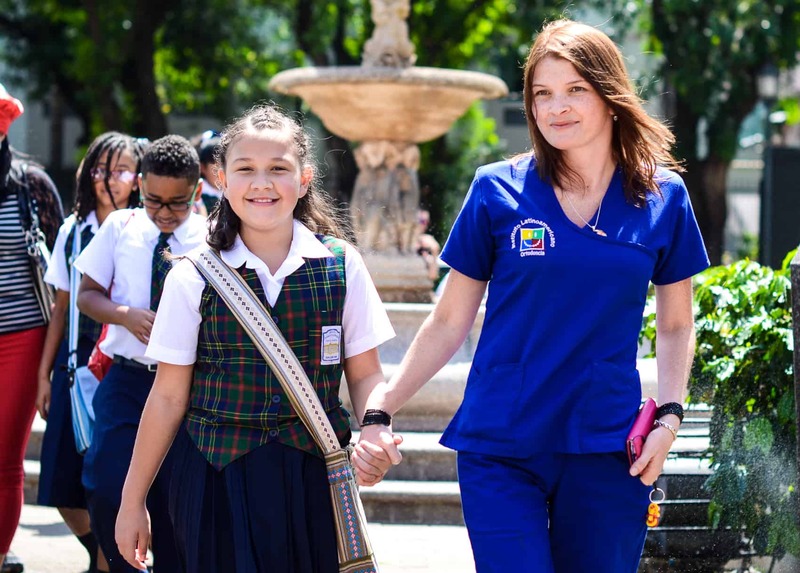 Parochial schools are common in Costa Rica and offer some of the advantages of a private, independent school while sometimes offering lower rates, since many are subsidized by the Costa Rican government. Private boarding schools (running on the U.S./UK calendar) like New Summit Academy (male only) and the Country Day Boarding School (mixed genders) in Guanacaste offer the same private school curriculum and diplomas while living on campus. Homeschooling/world schooling communities (throughout the country) are not formally recognized by Costa Rican law. However, there are families who homeschool here who are registered with the homeschooling associations in the United States. There are several Facebook Homeschooling in Costa Rica groups with over 3,000 members who gather informally in areas throughout the country to share resources, plan events and attend educational activities. There are also families who decide to “world-school” where they travel to various countries with their children in order for them to have hands-on, experiential learning outside of the classroom. Joining already established online-communities doing this work would be a smart first step. No matter what your educational preferences, making a decision about your desired school environment is a key first step for a family planning a move to Costa Rica, since the answer will likely determine your potential locations. If you are thinking about moving to Costa Rica, consider setting up a one-on-one consult (online) where with Natasha to talk through your questions. She can provide information on housing, infrastructure, schooling, food/markets, medical and dental access, visa requirements, culture and Costa Rican history. Visit her website or email her at indisunflower@gmail.com. Interested in sharing your company’s expertise with Tico Times readers interested in moving to Costa Rica? Contact kstanley@ticotimes.net to find out how.